Now that it’s officially autumn, it’s time for me to try my best to retire summer until next year (a struggle). On the eve of September turning into October, the weather here is GREAT and my hair no longer looks like a fright wig because of the humidity. Autumn in NYC is a gift, a truly beautiful time when locals and visitors alike bask in the cooler temperatures, turning leaves (we have lots of trees in the city), cultural offerings, and everything that makes NYC great. Hence, we do lots of international elopements and intimate weddings every autumn. 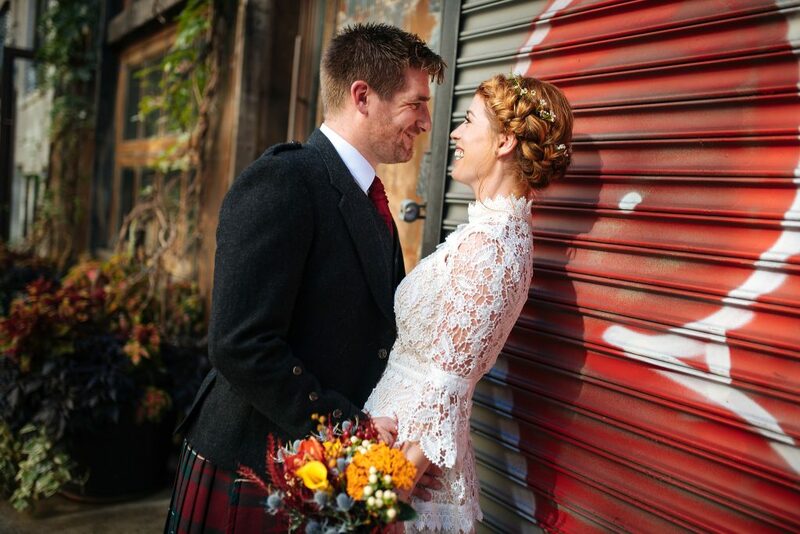 Introducing Nuala (Irish) and her hubby Murray (Scottish). They had been dating for about a decade when they planned a week in the city capped by a City Hall ceremony. Jon Lemon and his cameras showed them the town, and the pictures are pretty incredible. So, Nuala is a beauty, as well as pretty chill, with a good sense of humor and proportion. A dentist, she and Murray have lived and worked in several different countries during the course of their romance. They were both super relaxed as we got ready and told me stories of their adventures. I met them at their conveniently located (for me!) East Village apartment rental and we got to work. 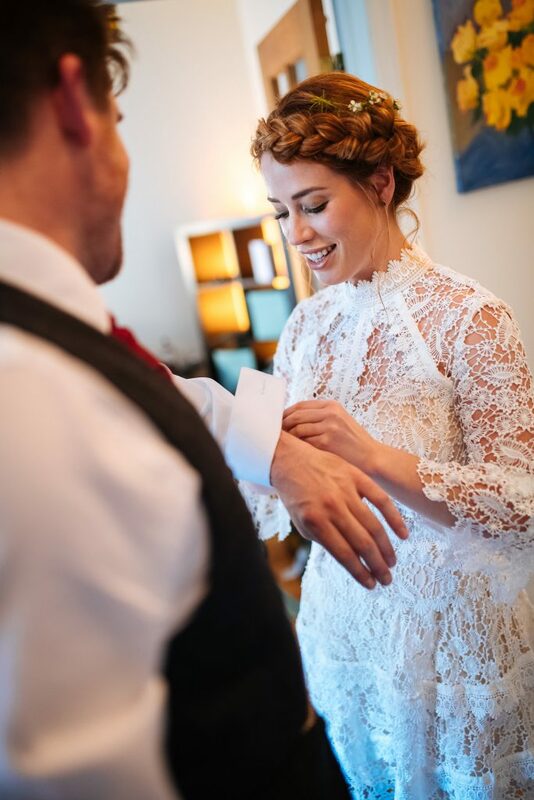 Nuala’s style is so chic – she requested a big crown braid and soft, glowy, golden makeup, all of which complimented her gorgeous and perfectly-fitted lace dress. 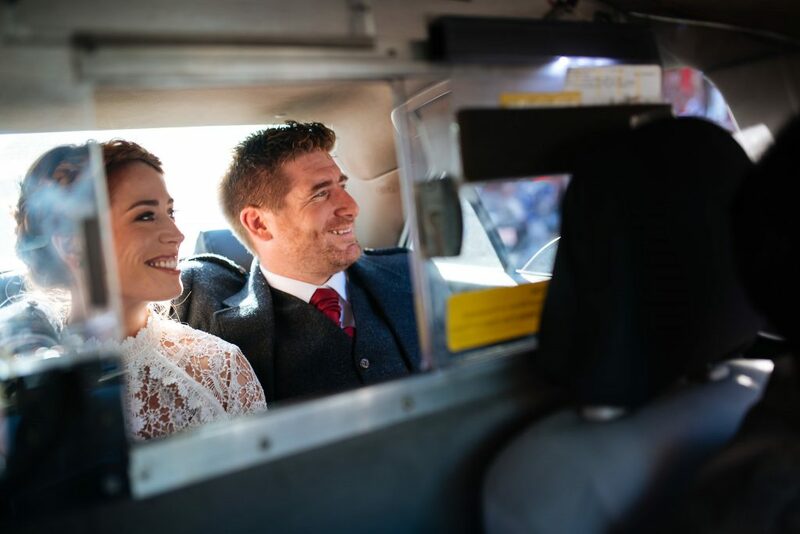 Murray sported a kilt and the accompanying finery, and they were ready for their moment!